Most divorces in Slovenia are by agreement between the spouses. There is no equivalent of the requirement in England and Wales to prove fault. If there are children, parents must agree a parenting plan before a divorce is granted. Courts will then look at the agreement and decide whether or not it is in the interests of the children. If the court does not accept the proposals or the parents cannot agree, a different divorce procedure must be used. This is referred to as ‘divorce on the basis of an action’. An updated Family Code comes into force from 2019. Time will tell regarding its impact on the division of property following divorce. For the first time ‘marriage contracts’ or prenuptial agreements will be recognised and regulated by the new Code. 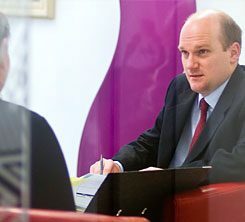 We are specialist divorce solicitors and family lawyers and we advise clients who have a connection with Slovenia. Our clients can include those who are UK–based but originate from Slovenia, are living in Slovenia but have a connection with England or Wales, were married in Slovenia, or have other family connections with Slovenia.